Motran Home Improvements, Inc is a fully licensed and insured local exterior home improvement company serving Maryland, DC and Virginia. With over 30 years experience we are focused on providing every client with superior craftsmanship and customer service at an affordable price. We specialize in the installation of new seamless gutters as well as general maintenance, cleaning servicing and repairs in places such as Washington DC, Baltimore, and Rockville. Our large inventory includes copper and aluminum gutters in all colors, gutter guards and screens, heavy gauge, 5", 6" 7" and half round, trim, soffits and fascia. We also offer additional exterior home improvements - vinyl siding, roofing, window replacement and more! We are focused on providing every client with superior craftsmanship and customer service at an affordable, well considered price. 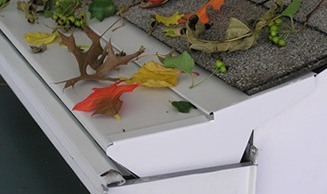 We only use one heavy 0.032 gauge seamless material for our seamless gutters in many colors. 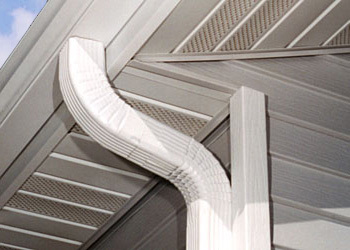 We manufacture the gutters at your driveway to size. All work comes with our printed labor and material warranties. We will always provide free estimates and advice to divert rain water away from your foundation with timely installation and completion of projects with a functioning design, size and color to enhance the full protection and beauty of your most important investment—YOUR HOME. Please call for references. We at Motran Home Improvements, Inc. in Rockville, are dedicated to serving the best interest of your clients with attention to details and integrity along with the full ethics of the industry. We will always help and assist during design if needed, supply full color choices and sample materials. You may want to consider our company for your upcoming projects to create and complete a functional and cost effective project, with our best service and attention at all times. Full exterior construction, maintenance, roofing, commercial building and house vinyl siding, seamless gutters, gutter guards, and emergency service. We can also provide services based on time and material. Please enjoy viewing some of our most recent and past projectsin Washington DC, Baltimore, and surrounding areas. Copyright 2014, Motran Home Improvements, Inc.: House Vinyl Siding. All Rights Reserved.